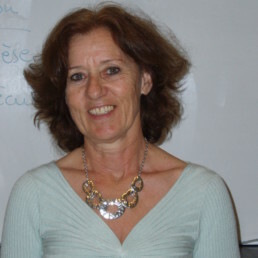 After 17 years as a teacher and educational manager at iLP, Nathalie became head teacher in 2010. Managing a language school allows her to work internationally. Always dynamic, she motivates her team and makes every effort to make students’ stays unforgettable. For her, it is important that they feel good in their host city, in their school and in their accommodation. Nathalie is also a fan of music. You will hear her humming in the school and playing opera music – it’s good for concentration! Born in Spain and with a German background, Andrea speaks four languages: French, English, Spanish and German. At iLP, she organises everything. She is multi-skilled and appreciates being surrounded by students from around the world who bring diversity. Andrea is also very sporty, and is the yellow jersey of the team. She loves coming to iLP by bicycle, cycling through the sunny streets of Montpellier. Look out, she cycles very fast! Charlotte left the capital to find the sun in Montpellier. At iLP, she is the youngest member of the team. She welcomes you with her big smile, takes care of the accommodation and makes sure that you have a great stay! You can ask her all your questions and share your experiences with her at the break over a coffee. Charlotte likes to go out in Montpellier, and knows all the bars and nice places to eat in the city centre. If you want to go out in the evening or go for a drink, don’t hesitate to ask about her favourite places. Patricia has worked at iLP for 30 years. She tells a lot of jokes, loves talking to students and making the team laugh. You’ll definitely recognise her! Her classes are full of fun, with a structured, interactive and enjoyable teaching. She offers many role-playing exercises and makes the students actively participate. As educational manager, she offers you advice and answers all your questions. 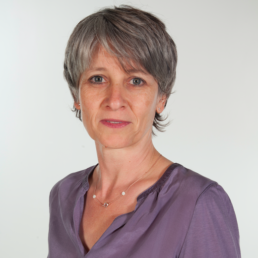 From Montpellier, Isabelle has worked at iLP for 20 years. She is a specialist in official exams. Passionate about politics and news, she also makes these areas for study during her classes and allows students to express themselves and give their opinion. Isabelle is also the foodie of the team. She loves to share her passion for French gastronomy and collects recipes from the cuisine of students from around the world. A French teacher at iLP since 2009, Frank is very creative! With a friendly, dynamic manner, he offers very varied classes. He does not hesitate to share his passion for theatre and cinema with his students through activities, making each member of the group actively participate. Students also recognise his professionalism. Ask him to tell you anecdotes about his life as a teacher and he will tell you the funniest stories.